Healthy Teeth – For Life! Be sure to visit your local Gold Coast dentist regularly for Dental Checkups. 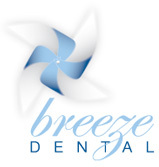 At Breeze Dental we believe in providing our patients ongoing general dentistry treatments and regular Dental Checkups. Quite often we hear of individuals neglecting to visit the dentist either due to a fear of dentistry treatment or cost issues. Here at Breeze Dental, we provide affordable dentistry treatment options to ensure that all our patients receive access to quality dental care and professional dental checkups. We can also provide sedation dentistry to give you virtually pain free treatment options. Our Gold Coast dental team believes strongly in empowering patients through dental education, so you can maintain a lifetime of healthy smiles. Smile with confidence knowing you have healthy teeth and gums. Minor dentistry issues are addressed before they become more serious. Save money by preventing dental deterioration that can be avoided. There is no need to dread going to the dentist. Our caring professional dentists focus on your overall comfort and provide quality Gentle Dentistry treatments, so you know your teeth are in good hands. We have years of experience working with patients of all ages. This experience gives us the knowledge of dealing with people and their hesitations with dentists. Come in and see our friendly team for a consult and we will change your perception of dentists.